Home » anthology:story » F is for Fairy: Preorder NOW — Plus Book Bloggers Can Get it Early! 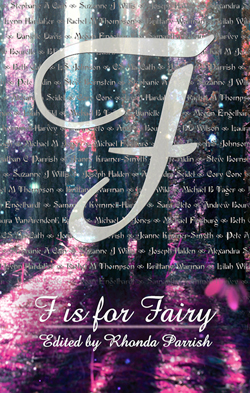 F is for Fairy: Preorder NOW — Plus Book Bloggers Can Get it Early! I’m happy to announce I’ll have a story in Rhonda Parrish’s next Alphabet Anthology. This one explores one of my favorite subjects: FAIRIES. I was assigned the letter Z, so I cap off the book! The book is now available for preorder at all of the usual places for $2.99 (2.29 in the UK); that price will go up on release day, May 7th. Add it to your wish list at Goodreads! Book bloggers, take note! There are ARCs available on BookSprout. Please spread the word.